If you’re leading projects, you’ll be expected to lead project status meetings. You want to run them effectively and use the time well. You also want to give the team confidence in your leadership abilities. 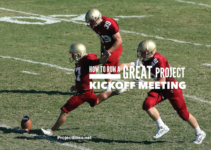 Follow these guidelines for a productive meeting that helps propel your project forward. And download the project status meeting agenda template to make it even easier to prepare! The project status meeting is an opportunity for the team to share project information and progress, both with the project manager and each other. 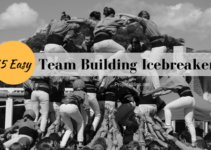 Even though teams work in separate groups, there are often cross-team dependencies and impacts. For this reason, it’s important for everyone to get updates. The status meeting provides an opportunity to share information across the whole team. Team members provide information on progress and gain insight on any upcoming tasks, challenges, or issues. For example, you may have the following components included in your IT project: database, software, user interface, security, hardware, and training, and all the Software Development Lifecycle (SDLC) components to plan for. (See this tutorial if you want an easy overview of the SDLC process) Each of these areas will have their own progress and status to report. The project status meeting isn’t the only time you’ll talk to each of these areas. But it’s important to have cross-team communication to reduce risk and keep things moving forward smoothly. There’s greater chance that the project will stay on track with fewer surprises if everyone comes together to communicate occasionally. Include these important elements in your project status meeting agenda. Adjust as needed – but start with these in mind. Ensures everyone has the necessary information. Gives visibility to others if a key participant has been excluded. Provides a record of invitees. Introductions. Introductions won’t be needed if everyone has been working together and knows one another. But if you bring on a new team member, or have a meeting guest, make introductions at the beginning. Accomplishments. If you’ve completed milestones or other accomplished since your last meeting, take time to acknowledge these. It’s good to celebrate successes. Upcoming milestones. You’ll use milestones from your project schedule or plan. Team members can provide status for percent complete. List milestones on the agenda so attendees know they’re expected to give a status update. Upcoming events. Give visibility to activities and events in the near future. 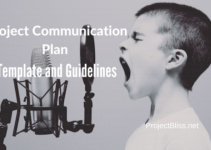 Others may have input, and the cross-communication helps the team. Outstanding action items. You likely won’t have time to resolve all these, but give a quick run-through if there’s time. Use any format your team has adopted, whether it’s an action item matrix or spreadsheet, or a tool you track them in. Include who’s responsible and the due date. Open issues. Provide a list separately from the Agenda, but don’t go into problem-solving mode on each one. Review briefly and identify who needs to be involved in follow-up discussions. Schedule separate meetings for these. If needed, let someone else take the lead on an issue. Delegate responsibility (or allow someone to volunteer). Other specific project needs / New issues or action items. Address as needed. You can ask team members if they have anything else to discuss that hasn’t been covered yet. Make sure participants know ahead of time what to expect by sending out your project status meeting agenda in advance. Timebox items on the agenda. Make sure you manage the time effectively. Identify who will lead each discussion. If you have a topic that someone else will take the lead on, put their name on it. It’s very important to let them know in advance by having a conversation a few days prior to the meeting. Timing. Monday mornings are not a good time to have your status meetings. Team members will not be as prepared to discuss the status. Friday afternoons aren’t either (I learned early in my career from the scowls around the conference table). Mid-week works well and gives team members time to wrap up any pending items and get started on those identified in the meeting. Cadence. 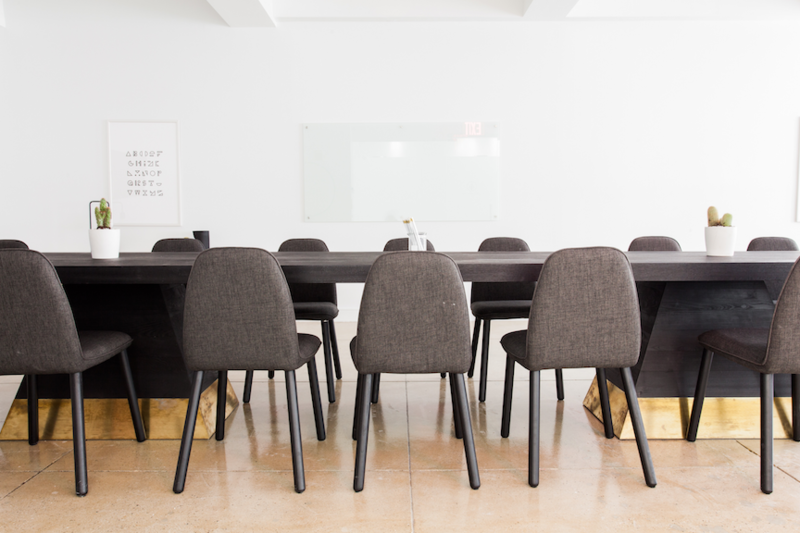 It can be helpful to set up a regularly recurring meeting. Depending on the momentum and needs of your project, you may want to set it for weekly or every other week. If so, do it on the same day and time each time you hold it. Need. Don’t hold a weekly status meeting if it’s not necessary. It may be that every other week is sufficient. If there’s nothing new to report, don’t hold a meeting. Touching base with team members prior to the meeting can give helpful insight as to if a meeting is needed. Duration. Don’t go too long in between status meetings. Communication is critical and it’s necessary to create a forum for that to happen. Preparation. Send your project status meeting agenda out a day or two in advance, at least. This gives participants a chance to prepare and know what’s expected of them. Participation. Have everyone participate in the meeting. If there are participants who don’t speak up, ask them questions. You want everyone to be engaged. For an effective status meeting, you need to ensure your participants are prepared. The project status meeting agenda is one of your first opportunities to do this. 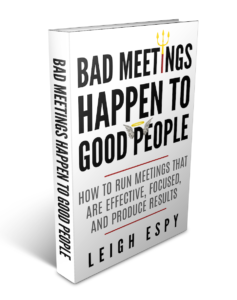 It lets the team know the meeting purpose and what you’ll cover. It helps attendees come prepared with the information needed. It also lets them know that you’re also prepared and you respect their time. It also helps you think through what you’ll cover during the meeting and use the time most effectively.